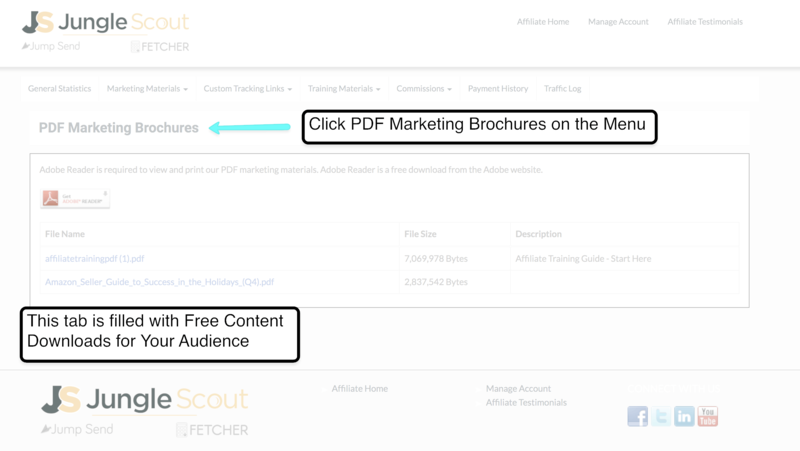 Please check out the TRAINING MANUAL and all the resources below prior to getting started. 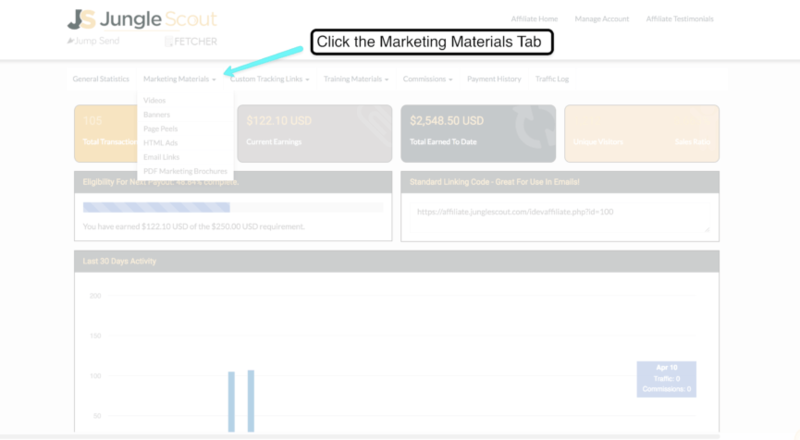 To further assist you in your campaigns we have “Marketing Materials” available on your account dashboard. 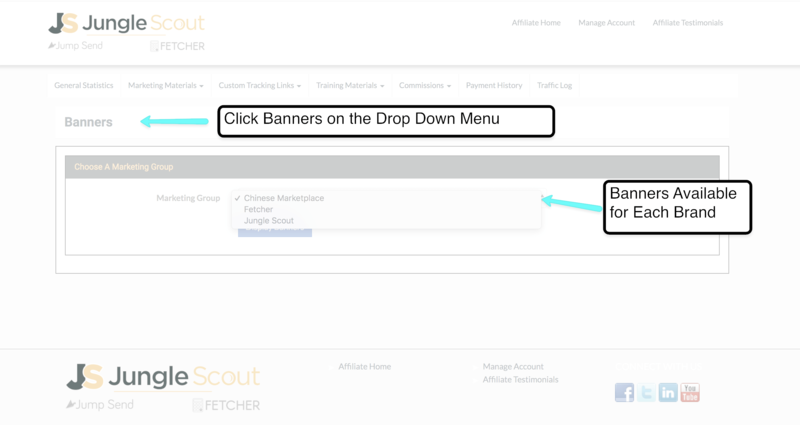 Banners are available for each brand Jungle Scout, Jump Send and Fetcher! You can use your unique affiliate link to send traffic to any Jungle Scout, Jumpsend or Fetcher link and earn commissions on any purchase. It is incredibly easy to create these links. 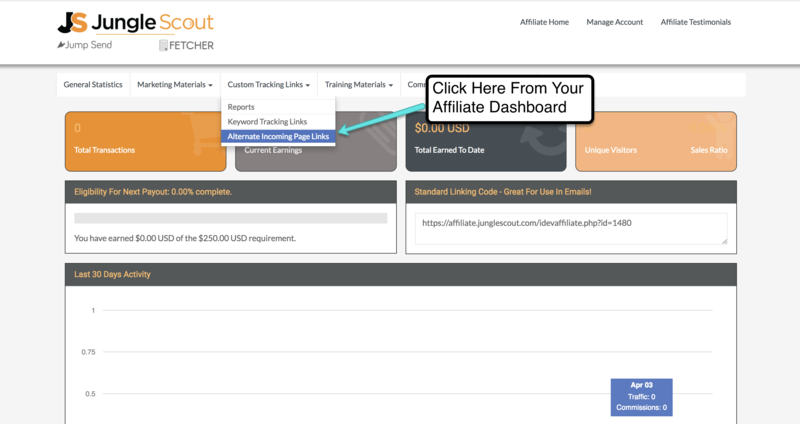 Now Spread the affiliate link all over the internet to start earning! Once a commission is earned and approved it has to age for 30 days. After it has aged 30 days it will go in your bucket of commissions to be paid out. Commissions are paid out on the 15th of the month through the paypal you provided at sign up. If you want to change your paypal email please send in an email to [email protected] to verify the change. The minimum for payout to be completed is $250 so once all aged commissions hit the $250 mark they will be paid out on the very next 15th (or the nearest business day thereafter). $20.00 USD for Each Jungle Scout Extension sale you deliver. 25% of Each Jungle Scout Extension sale you deliver. 100% of the first month for each subscription sale you deliver. Includes Jungle Scout, Fetcher and JumpSend. Want to earn more visit our Super Affiliates tab and see if you qualify today! 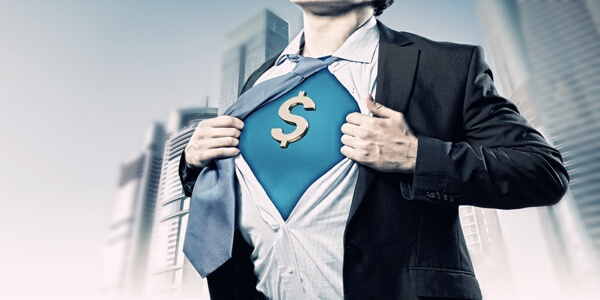 The Super Affiliate status is dedicated to all the affiliates who go the extra mile when it comes to generating sales! Once you drive 20 commissions (in 60 days) you will be considered for the Super Affiliate Program. Please email [email protected] a screenshot of your account when you have reached this milestone and we will work with you to get set up! Thank you for being part of the affiliate program! and we will take care of you right away!